Come along and enjoy the fun of the fair. There is something for everyone. Fun for the kids - Sumo suits, a bouncy castle, a chocolate trailer, a dinosaur dig, lucky keys to win a scooter or a cash prize, a maze and plenty more. Food - hot dogs, ethnic food, spiders, a cafe, cakes and sweets, BBQ. 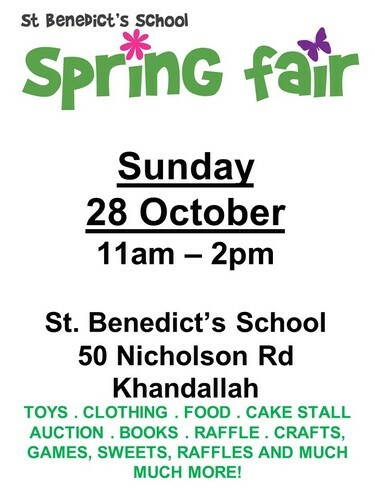 Stalls - Crafts, books, toys, clothes, plants, silent auction, quick raffles, tombola, kidszone.